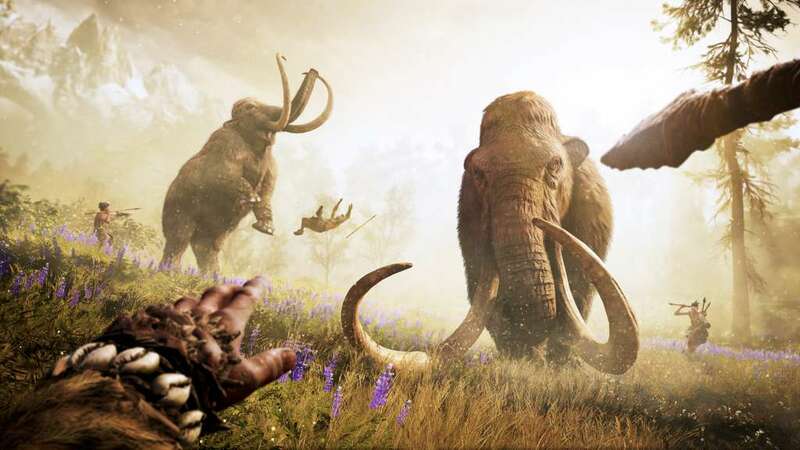 Far Cry Primal takes you back to the Stone Age when man was definitely not at the top of the food chain. Danger lurked around every corner during the daytime, and nighttime brought a fresh set of terrors. 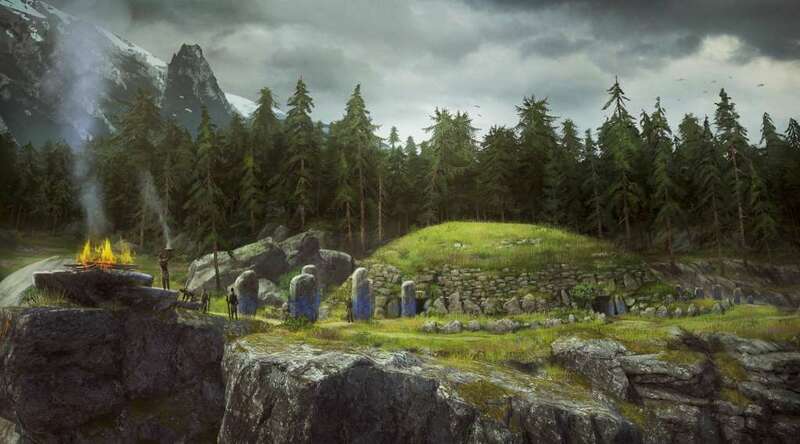 It is in the untamed land of Oros that you meet Takkar, the sole survivor of an ambush on his hunting group. 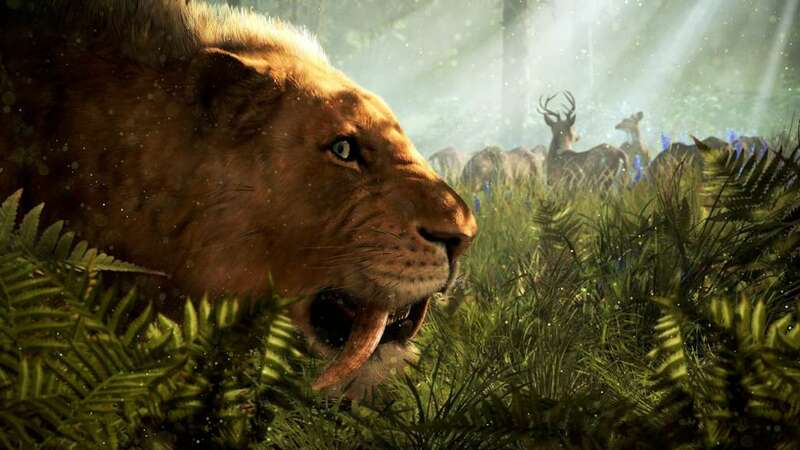 Now on his own in a treacherous world, Takkar will face massive mammoths, savage sabretooth tigers, hostile bands of rival hunters, and countless other threats as he attempts to re-unite his lost tribe. 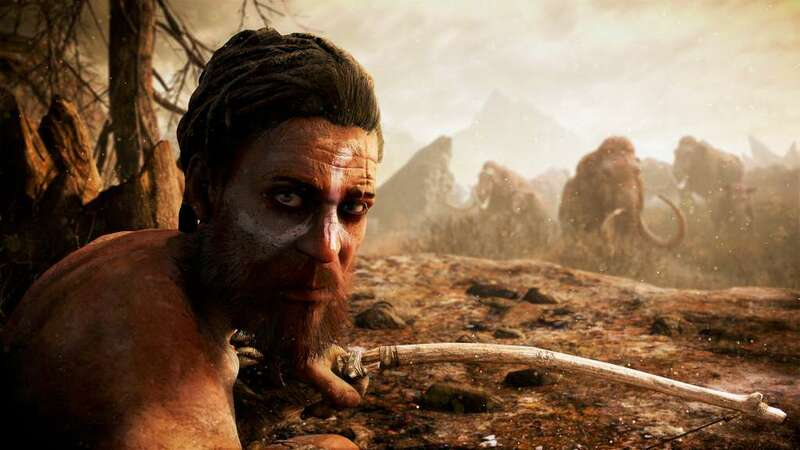 Like any good hunter, Takkar carries an extensive set of survival skills, including the ability to craft tools and weapons from the bones of the beasts he slays and the resources he gathers in the wild. These are not only crucial for his own safety against predators (both human and animal), they’re also essential in maintaining the safety of his tribe. Takkar will need to guard his fledgling group carefully to ensure its survival and growth. 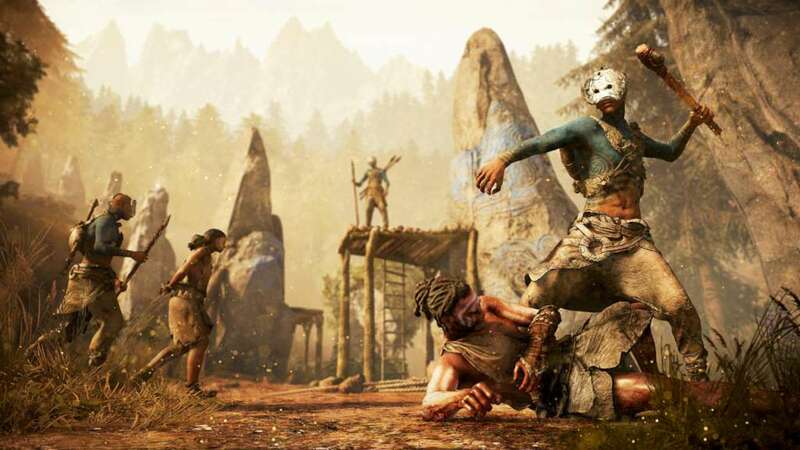 Like every Far Cry before it, Far Cry Primal takes place in a massive open world, and Takkar’s adventure will take him through a number of landscapes, ranging from swamps to redwood cedar forests, and when nightfall comes to Oros, fire may be the only thing standing between Takkar and a particularly sharp set of teeth or the jagged tip of a spear. The use of fire is perhaps just as important, if not more important, than the weapons Takkar crafts. In addition to using it for protection at night, he can use it for additional tactical options when assaulting beasts or infiltrating enemy outposts. Additional Notes: Windows-compatible keyboard, mouse, headset, optional controller.